Grilling fruit is one of the most underrated pleasures of summer, and pineapple is the perfect fruit to grill. Not only is it packed with vitamin C, fiber and manganese (it’s also anti-inflammatory and helps digestion), pineapple’s natural sweetness means it gets beautifully caramelized when you cook it. If you don’t have a grill available, never fear—you can get the same effect using a grill pan or nonstick skillet on the stove. 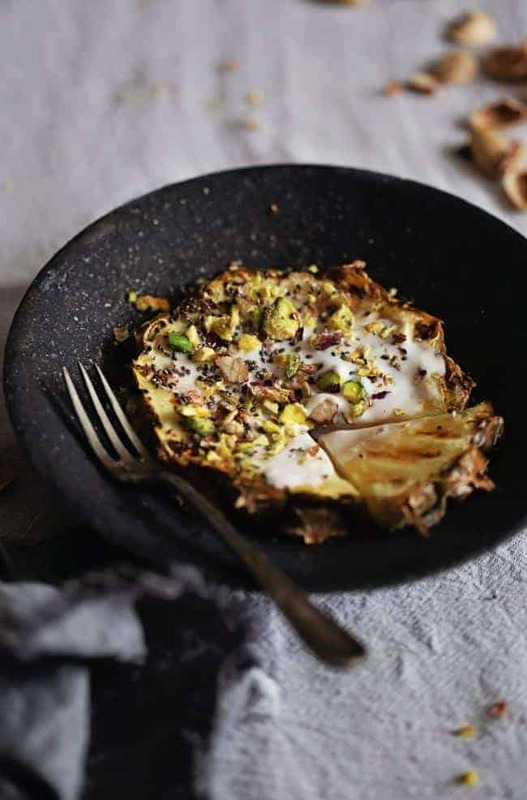 It only takes a couple minutes to heat up, and is topped with a coconut milk-based whipped cream and a healthy mixture of toasted nuts and seeds. Crunchy, creamy, sweet. Sounds like one to put in the dessert recipe rotation even when it’s not summer. Whipped coconut milk and crunchy pistachios top slightly caramelized pineapple in this summery dessert. 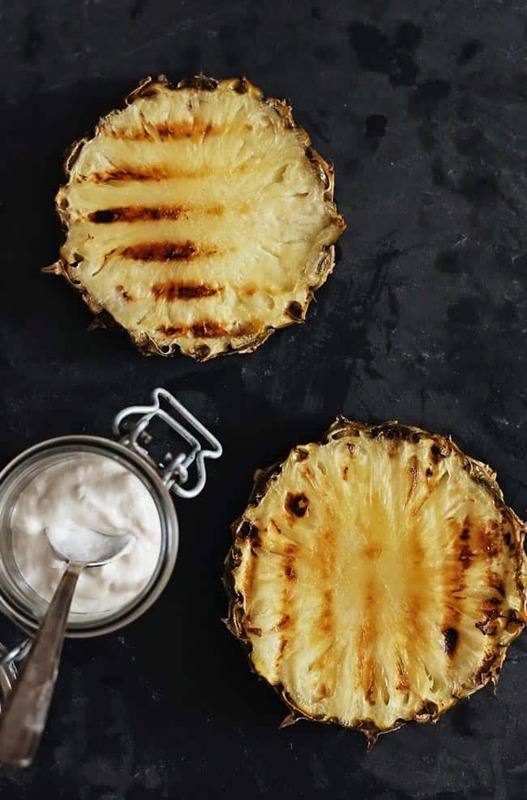 Top each of the grilled pineapple rings with whipped coconut milk, add one tsp nut and seed mix, drizzle with honey and serve. Add refrigerated coconut milk to a cold bowl and beat with electric mixer until desired thickness. Mix longer if you like more of a whipped cream texture. Place the seeds and nuts into a food processor, add salt and pulse two or three times to roughly crush and combine. Heat pineapple slices/rings for 2-3 minutes on each side, over medium-high heat in a non-stick skillet or on a grill. Transfer to a plate and top with coconut mousse and nut mixture. Top grilled pineapple with coconut mousse and nut mixture. Drizzle with organic raw honey and/or shredded coconut if desired. Oh that looks so wonderful…and I love pineapple!